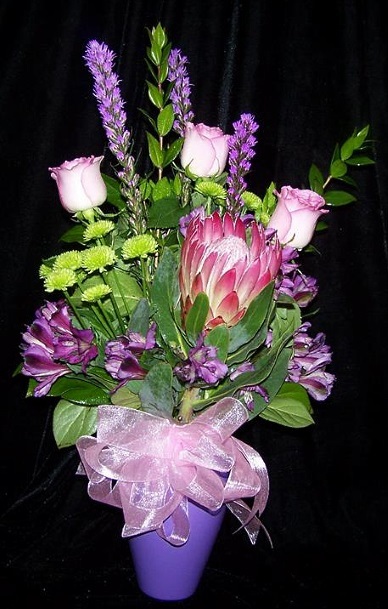 At Rovella's Flowers, we are more than just your average florist! Speedy, reliable deliveries and customer care that's beyond compare... these are just two things that set us apart. 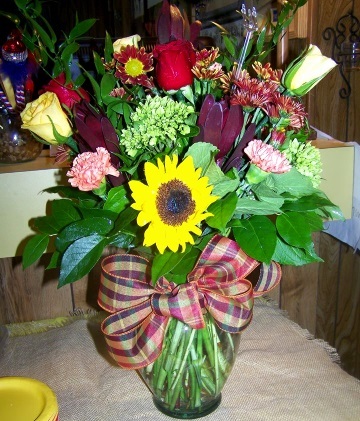 Rovella's Flowers is a local florist proudly serving Silverton, Texas and surrounding areas. Our friendly and knowledgeable staff is ready to assist you when you need flowers delivered locally or anywhere in the world. For your convenience, we also offer daily delivery service to local hospitals and funeral homes. When expressing your heartfelt emotions, PICK Silverton's “BEST Value Retail and Florist Shop In Town!” Our flowers from PETALS to STEM are the freshest. We will provide all your floral and gift needs in Silverton, Texas at 416 Main Street, Just off Lone Star at the Square. Every flower is hand-selected by our florist. I look at the petals, color and freshness of each. 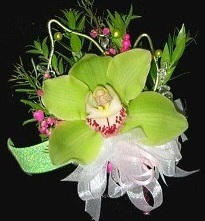 When you want to express an emotion through flowers, let us be your premier choice. Emotions of: happiness, sadness, joy, delight, “missing you”, “thinking of you”, or “I Love You”…we can design a floral arrangement to express just that. Not only do we do flowers, we can do wedding registries and baby registries. We also supply little girls and women's clothing from T-Shits to your Sunday best. If you would like to know if we carry a certain size, just call the store to find out what we have in stock. We also offer gifts for any age or occasion, including plush stuffed animals, balloon bouquets, Gift Box and Candy Bouquets, candy & chocolates, silk arrangements, wreaths, lanterns, baby items, lots of Melissa and Doug toys, home décor, crosses, ladies and childrens apparel, shoes, accessories, jewelry, necklaces, scented candles and more! Whether your wedding or party is formal or casual… A small gathering or the social event of the year… We can help you plan an event that's a "blooming" success. We also create custom homecoming mums and corsages... stop by to order yours! Call us in advance at (806) 823-2139 to schedule your consultation. Thank you for visiting our website for flowers delivered fresh from your local Silverton, TX florist of choice, Rovella's Flowers.